When most of us think about elder abuse or neglect, we tend to imagine horror stories about staff members getting into physical altercations with residents or failing to take care of patients in need. However, sexual assault can happen at nursing homes and assisted-living facilities, too. According to a recent article from the Marin Independent Journal, a female Greenbrae nursing home resident sued the facility for elder abuse after contending that she was sexually assaulted during her residency. Now, authorities with the California Department of Public Health are investigating the incident. Nursing home abuse can take many forms, including sexual abuse. If you have concerns that your elderly loved one has been the target of elder abuse or neglect, you should seek advice from an experienced San Diego nursing home abuse lawyer. A Novato woman, who had been a resident of Kindred Nursing and Transitional Care, filed a claim against Kindred Healthcare, Inc. in February of 2014. Based on the information contained in her lawsuit, the resident suffered a sexual assault at the facility, which “was the second sexual assault within a span of eight months.” According to police records, Terence Tumbale, the Director of Kindred Nursing, reported a sexual assault on behalf of the resident to the police in April of 2012. The resident also named Tumbale as a defendant in her lawsuit, alleging that he was guilty of neglect. Tumbale resigned from his position in January of this year, and he wouldn’t comment on the lawsuit. The resident passed away last October at the age of 89. Now, however, the California Department of Public Health has launched an investigation into this facility in Greenbrae. According to Corey Egel, a spokesperson for the department, the reported sexual assaults were already investigated and closed. The department found “there was insufficient evidence to substantiate either of the claims.” Egel couldn’t comment on the current, ongoing investigation into Kindred Nursing and Transitional Care, but it’s possible that the department is seeking information about sexual assaults at the facility. The National Center on Elder Abuse (NCEA) and the Administration on Aging (AOA) emphasize that sexual abuse is a serious problem facing elderly Americans. 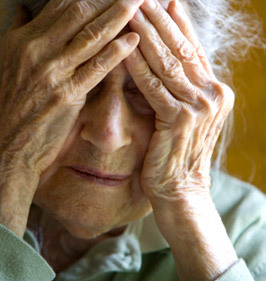 Sexual abuse includes “non-consensual sexual contact of any kind with an elderly person,” including sexual contact with “any person incapable of giving consent.” If your parent or loved one has suffered injuries from nursing home abuse or neglect, contact an experienced San Diego elder abuse attorney today to discuss your case.